We must not neglect the impact that ongoing injustice has on our youngest minds. 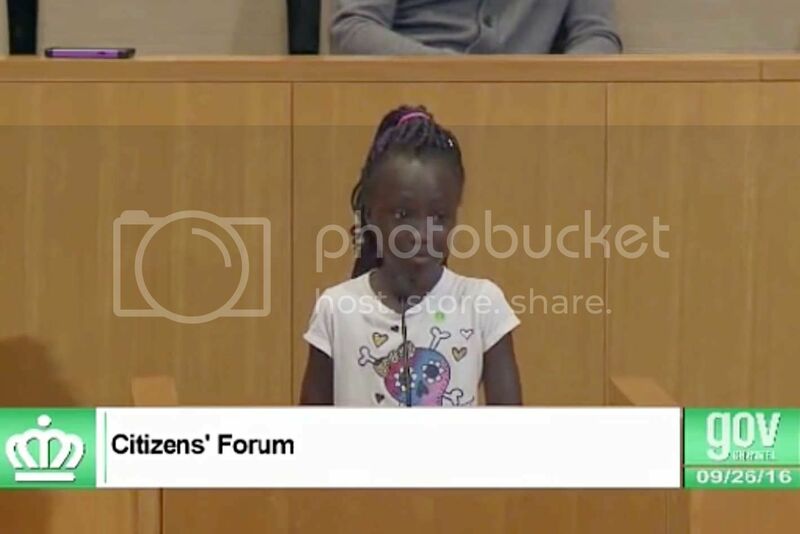 10-year-old Zianna Oliphant spoke at a citizen's forum held by the Charlotte City Council on Monday to express her sadness about police brutality. "I come here today to talk about how I feel, and I feel like we are treated differently than other people," she explained. Zianna broke down in tears during her remarks. With some encouragement from the crowd she continued. "I don't like how we're treated... I believe that we are Black people and we shouldn't have to feel like this. We shouldn't have to protest because y'all are treating us wrong. We do this because we need to and have rights." NBC News caught up with her and she got even more specific about her grievance. "What the police are doing to us just because of our skin is not right," she said. "It's just a shame what they're doing to us."